As we have mentioned earlyer we found after work discussions very evolving. On friday we met for a late lunc or should I call it a dunch after work. We had an inspirational conversation about our future plans and dreams among personal life updates. We also discussed about what have we gained participating to different Erasmus+ projects. We have noticed that participating to international projects enables us to develop new skills; we have been able to get to know first-hand information of another European educational system, learn and share new ideas and explore the best practices to take back to Finland. We also have learned a lot from ourselves. Video was shot on a whim, totally spontaneus. April 4, 2018 April 4, 2018 by icebathfinlandLeave a Comment on Modernize teaching, think global! A key principle when creating new ways of teaching and coaching is to think global. Student mobility is visible part of internationalization when it comes to educational field. We must remember that not all students are willing or able to spend time abroad and same is with staff members. Strengthening and embedding internationalization on campus is therefore more important than ever. This means building reliable links between the organizations, and making internationalization real and meaningful for wider society. This challenges us, who are eager to think global. 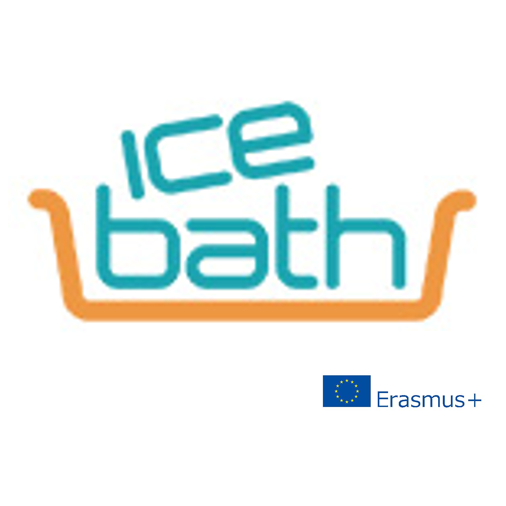 People behind Icebath are all very keen on internationalization and like to think global. We have participated in different Erasmus+ projects and find that a very helpful way to develop our teaching among organization. What have we gained during our Erasmus+ mobilities? Now I´m mainly talking about Erasmus+ Strategic Partnership Projects (KA2 projects). We have noticed that travelling and working abroad enables us to develop new skills; we have been able to get to know first-hand information of another European educational system, learn and share new ideas and explore the best practices to take back to Finland. We have been inspired by new colleagues and we have been able to refresh our thinking to create new approaches to teaching. Every time when we have returned from our mobilities we have been enthused and motivated. Therefore we have been integrating teachers who are not that keen on involving international projects to hop along and participate to staff trainings or other project meetings or events. Feedback from them has only been positive. I assume, everybody is keen on learning from others and meeting interesting people, sometimes you just need a gentle push to step out of your comfort zone. While participating to Strategic Partnership Projects the growth will take a place in your brains and mindset and it will lead to the point of no return. Once this shift has happened, your whole world changes. And among that you will change the whole world. You just notice nothing becomes impossible to you. Finland’s educational system has undergone several changes during the past few years. Among the educational system teaching is under big changes too and the way teachers update their knowledge and competences is finding new ways and routines. Many education providers prefer the 70:20:10 model for learning and development. This model holds that individuals obtain 70 percent of their knowledge from job-related experiences, 20 percent from interactions with others, and 10 percent from formal educational events. The 70:20:10 model endorses Erasmus+ Strategic partnership projects where all the learning and developing is based on cooperation for innovation and the exchanging of good practices. These projects make it possible for organizations from different participating countries to work together, to develop, share and transfer best practices and innovative approaches in the fields of education and training. You actually don’t need new ideas, you need a new perspective! If you are eager to explore, grow and live life with learning as a lifestyle ideology participating to strategic partnership projects is perfect solution for you. Participating staff to mobilities allows the professional development of the individual teacher. It is an integral part of the internationalization of organization among attached organizations and networks. Participating staff to mobilities is very important for advancing and supporting student mobility. Staff that have good relations and networks abroad know the added value of being mobile and are more likely to support students in becoming mobile themselves. Teachers with an international experience add an international dimension into their teaching and thus foster an international outlook among the great majority of students who will never have the chance to go abroad themselves. We underline life-skills that students need, but as well as students need to develop on life-skills, we need that too. Strategic partnership projects will persuade you to gain valuable life-skills and international experience to help you develop personally and professionally and to succeed in today’s world. As well as boosting your skills and employability you are also in the spot where you can pick great ideas to update education and teaching in your country among the countries you visit. I call it a hotspot! Personally, I have gained valuable experience out of participating in these projects. I have improved and gained language skills among enhanced my self-confidence for taking steps out of my comfort zone and pushing myself to talk in front of people in English. I believe the best way of learning and developing in languages is to use them proudly. It sure will help increase your confidence among the language skills! I have developed my cultural awareness and open mindedness, even though I always thought I´m a person with these skills. Oh boy, was I wrong! There have been so many so good and interesting conversations with other people I have met. I did not know how differently we can think and see things. One of the most interesting a-haa moment to me was when one of my international colleague mentioned that she finds it very bizarre and even very personal that I can post pictures of myself wearing woolen socks to Facebook, she never would do that. I also didn´t realize how differently we think about equality, how point-blank, direct and even offensive I can sound when being a very Finnish woman participating to conversations. I have got good feedback from my colleagues that they would never dare or even would want to comment like I did. These are very precious moments to pause and reflect on. Little did I know how people can hide their personalities among sexualities, because of the way they are treated in their countries. I thought I knew, but I didn´t, not until I had a conversation with a person who told me to my face how they felt. I could go on with the cultural awareness and open mindedness I have gained, thank God it has been me who has been send to abroad trough Erasmus+ projects! To learn. I also have gained vital new skills required for new teaching. All those conversations with colleagues from different countries, how they teach and see education. I have realized that changing ideas and creating common comprehension of case is very inspiring and allows us to gain knowledge in new subjects or in teaching methods. This will increase motivation to develop and learn, and will lead automatically developing personally and professionally. And what comes to my network I have gained! I have gathered a beautiful network of professionals from all over the world, some of whom I call my friends. Working in this network has been great for sharing ideas and knowledge. I have received and given feedback. I have been able to discuss my point of view, they have helped me to expand my knowledge and allowed me to see things from another perspective. Meeting these great people have given me opportunities that I would have never gotten. I have had wonderful dinners in different countries in people’s homes or wineries or beautiful restaurants. To me, one of the greatest thing to realize is that I have not just gained exposure to the people I have met, but I have been building connections with their network too. They have introduced me to wonderful connections that I meet with success. This has not been just a one-way street. I also have matched people to my network and been thrilled to have been able to create great new opportunities to people I have connected. Participating to Erasmu+ projects has given me change to leave my insecurities behind. It is always refreshing to step out from your ordinary zone and be visible and getting noticed in front of people you don’t know. This is a big benefit for your personal growth. For daring and learning you need other people. People who see you, trust your competences and give you a space and time to progress. This can help you build your reputation as a knowledgeable, reliable and supportive person who you are instead of hiding under your dubious, uncertain, doubtful thoughts. People will enjoy your certitude and reliability for sure. Every time when I´m seated on an airplane heading towards an Erasmus+ destination I tell myself how fortuned I´m. I just can’t wait what new I will explore, learn and how will I refresh my thinking about teaching during this journey.